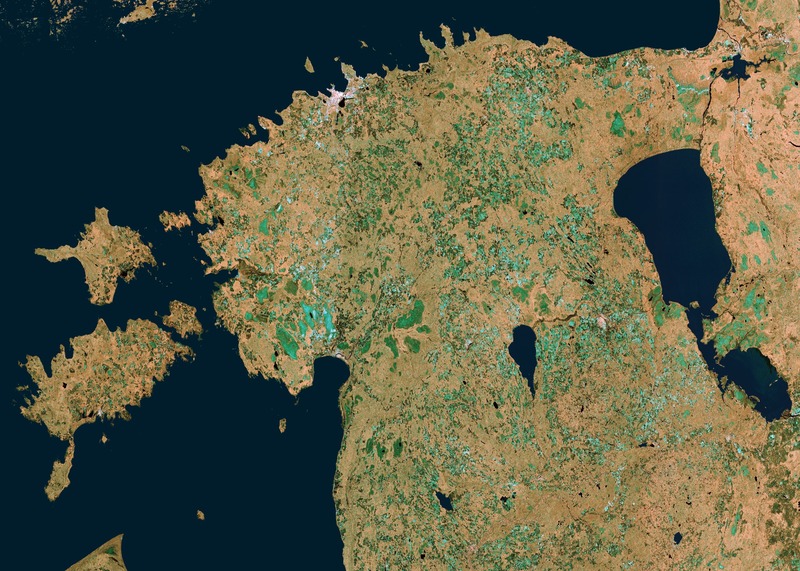 A dual polarization colour composite of entire Estonia using eight Sentinel-1A GRDH products acquired between November and December 2014. The image covers an area of approximately 360×250 km. Processing was performed using the ESA’s Sentinel-1 Toolbox, including slice assembly, calibration, multilooking, mosaicking and terrain correction. A water mask was applied during processing. S1A data were downloaded from the the Sentinel-1 Scientific Data Hub. Bicubic downsampling was applied to the original image.